The Quadrantids meteor shower lasts from December 28 to January 12. But it will be most active on the nights of January 3 and 4. Nasa has even called the shower "one of the best annual meteor showers". 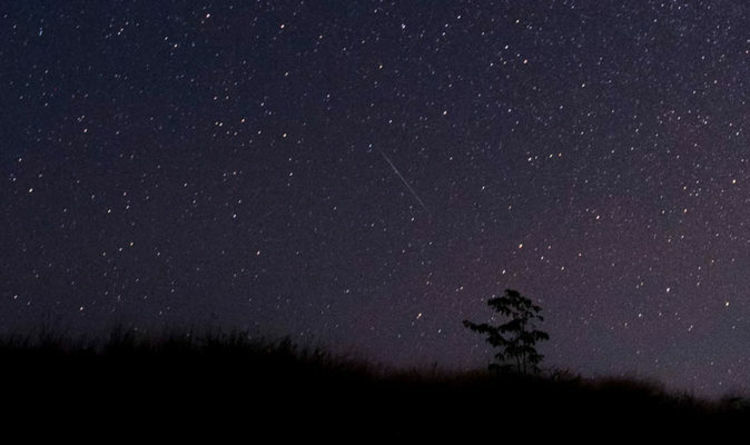 What time is best to view meteor shower peak tonight? The Quadrantids will be most visible at around 2am GMT tonight, according to the International Meteor Organisation. This means the rest of Europe areas will see the shower at its peak during the early hours on January 4. Tonight there are also moon-free skies, so star-gazers will have the perfect view - although cloud cover could prove a problem due to overcast skies. The Royal Observatory advises: “Hunting for meteors, like the rest of astronomy, is a waiting game, so it's best to bring a comfy chair to sit on and to wrap up warm as you could be outside for a while. “They can be seen with the naked eye so there's no need for binoculars or a telescope, though you will need to allow your eyes to adjust to the dark. “For the best conditions, you want to find a safe location away from street lights and other sources of light pollution. “The meteors can be seen in all parts of the sky, so it’s good to be in a wide open space where you can scan the night sky with your eyes.”. The Northern Hemisphere has the best views of the meteor shower, as its radiant point is very far north on the sky’s dome. This means people in the north of the equator will have the best sightings of the shower. The Quantrantid shower got its name as its believed to have come from a former constellation called Quadrans Muralis. This was discovered by a French astronomer in 1795. The Quadrantids are also thought to be created from dust that was left by an asteroid called 2003 EH1. The asteroid was potentially once a comet that shed all its ice and debris, before becoming just a big lump of solid rock. People are able to see the shower, even though they will travel 25 miles every second. In order to let your eyes adjust to the darkness of the sky beforehand, head outside 20 minutes before the shower starts.